This is a bridal album page design features the bride and grooms romantic photo session following there wedding ceremony at cielo blu barn in fellsmere florida. 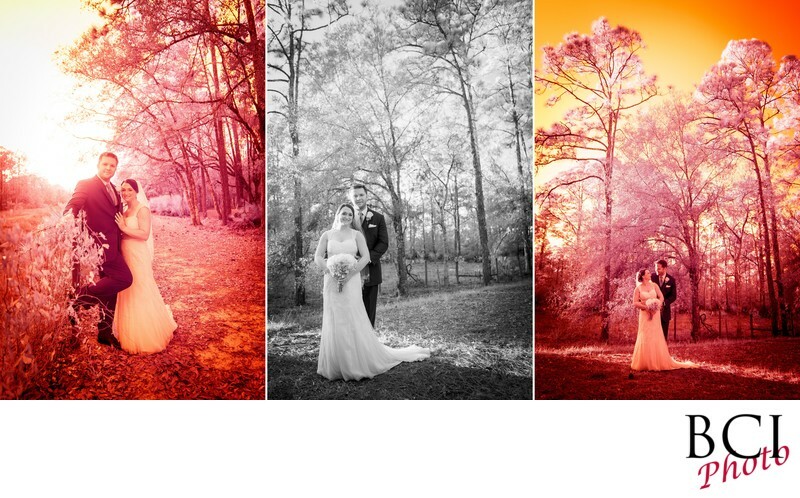 This set is all infrared. That is to say we captured them using a custom modified camera that can only see the IR part of the light spectrum. Illustrates the new strawberry wine flavor as well as the more traditional black and white rendition of infrared.